My bible is opened on my bed. I am determined to read and meditate on the Word. In fact, to show my seriousness, I place my pen and notepad beside the bible. I don’t want to miss anything God has to say today. Slowly, I begin to read… and gbam, sleep knocks. But I wasn’t feeling sleepy some minutes ago, why now? Instead of lying down, I sit up and continuing reading. Different thoughts cross my mind but I try to concentrate on the Word. I check the time. I finish reading and close the bible and mutter some words of prayer. I need to sleep. I’ll continue later. I pick up my phone. Lots of notifications. I decide to respond to the chats quickly before I sleep. But for the next 40 minutes, my eyes and hands are glued to my phone. The sleep has suddenly disappeared from my eyes. Have you ever gone to church and dozed off while the sermon is going on but immediately after service, your eyes are so sharp and your laughter rings out so loud as you greet your friends and talk about your day? What about that morning devotion that has become a religious affair, when excitement only come afterwards because there is a trending movie you downloaded to your laptop the previous night and your heart pumps with delight now that devotion is over. Why does that pumping not happen every time you engage in spiritual activities? Why does spending time with God sometimes seem so boring and burdensome? Let me say that, sometimes it is good that spiritual boredom happen. If you are a true believer, it will leave you restless and drive you to a search for something deeper. It would become a major step in translating from mere religious activity to the supernatural. Do you really think God wants our fellowship to just be a duty to him, like an attendance register that needs to be marked whether or not we enjoy it? You go to church because God will be angry if you miss a service, the night vigils you attend is just to fulfil all righteousness, even your morning devotion is not more than you saying to God, ‘Baba God, I showed up today o!’ God would rather you don’t do any of these if it won’t come from a desire to know him intimately. If you are reading this, it shows you want to get out of that lethargy into a deep and satisfying relationship with your Father. There are Christians who fast, pray for hours and engaged in service for God and yet they do not have a real relationship with him. A relationship with God goes beyond religion. It is a lifestyle. A life where God becomes real to you. So what is the solution to maintaining a fresh communion with God? 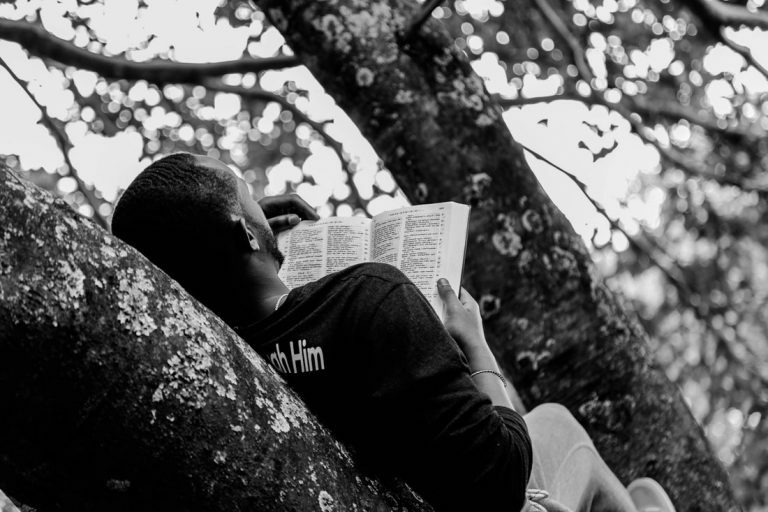 When praying and studying the Word becomes boring enough to settle for an alternative, what steps can you take to get back learning deep things from the Lord. 1. Recognize that the flesh will always oppose the things of the Spirit. You can’t depend on your feelings to deepen your relationship with God. You can’t depend on your willpower either. There is a contention with our flesh as we desire to grow spiritually which we can only fight by the help of the Holy Spirit. Galatians 5 makes this clear. Remember Paul’s words in 2 Corinthians 10: 4? The weapons of our warfare are not carnal but mighty through God to the pulling down of strongholds, casting down imaginations and everything that exalts itself against the knowledge of God and bringing every thought to the obedience of Christ. The flesh will always bring before you things that seem more interesting than praying or studying the Word of God. More movies to watch. More games to play. More friends to chat with. More Instagram videos to view. A knowledge of what battle you are faced with will help you depend on the Holy Spirit for strength. 2. Connect with an assembly that enhances your spiritual growth. One of the reasons spiritual things may have become boring can be traced to the environment and people you surround yourself with. Paul in 2 Corinthians 3 said the letter of the word kills but it is the Spirit that gives life.. If what you hear consistently is like water poured on a rock and the Word isn’t real to you, how won’t you be bored? Don’t settle for mere routine. Not every assembly speak forth words that produces life. They may be reading the bible and speaking words with, ‘Jesus’ in them but it doesn’t mean life is being passed to you. What makes scriptures powerful is not the letters, it is the breath of the Spirit in them. When your spirit man is refreshed, you will know. Your spirit will connect to the spirit behind the words spoken. It is the Spirit that quickens…the words that I speak to you, they are spirit and they are life. John 6:63. Again, there are levels of growth in our spiritual walk. The body of Christ meets our different needs. Talk to God and let him lead you to servants of God and teachings that’ll help you grow. 3. Get other translations of the bible. What some people need for a refreshing bible study is other translations of the bible apart from the KJV. Don’t flatter yourself. You are not special because you stick to the King James Version. What some of these translations do is to bring the words to our level of understanding. I almost screamed in excitement after reading a portion of the epistle of Paul from a particular translation and for the first time my eyes were opened to a fresh understanding of that verse. Some of the versions I use apart from the KJV which I’ll recommend include; NLT, Amplified, Good News, Message, Philips and NIV. The natural comes before the spiritual. The Holy Spirit works best in the level of our comprehension. I remember preaching to a woman who didn’t understand English language not to talk of reading the bible. I had to explain the story of the cross in pidgin English. She was glued to every word I said and she surrendered her life to Christ. Just Imagine that I sat there with her blowing big grammar. This is what I do in many cases for verses I want to ponder on. I read first from KJV and then from other translations. 4. Don’t aim for hours. Aim for communion. Rather than watching out for how long time you’ve spent with the Lord and becoming frustrated when you don’t meet the mark, just enjoy fellowship with him. Don’t make your devotion a religious activity. There are days I find myself fellowshipping in short intervals. I read a scripture here, ponder on a verse there, listen to a sermon here, pray in tongues for some minutes. I agree that it’s important to create time apart to seek the Lord but also see those little moments of spending time with God as very important. Practice talking to him at different places. You don’t have to always wait until you get home. Some do not have that luxury especially Christians in places like Lagos. No time spent with the Lord is a wasted effort. 5. Connect with believers who love the Word. Share scriptures with friends. If you are in a relationship, Share the Word with your partner. Iron sharpens iron. Decide to read a verse or two together. Choose a chapter or listen to a sermon with a friend and draw out life application lessons. 6. Listen to Songs that speak about Christ. Songs centered on Christ have stirred my heart many times that I felt dry towards my spiritual things. As I sang, reminding myself of who I am in Christ and His finished works on the cross, I felt energized and renewed. It’s fine to listen to songs that talk about the greatness of God and how mighty He is, but do you know that in Colossians 1:19, it is written that it pleased the Father that in Christ should all fullness dwell? Boredom disappears when we fix our eyes on the resurrected Lord. Again, by singing alongside or meditating on the lyrics that proclaim Christ, do you know you are communing too? 7. Talk to God about how you feel. Pray in the Spirit often. It releases a freshness to your soul and keeps your heart longing after spiritual things. Read: 10 powerful Prayers for your spiritual growth. 8. Practice resisting the temptation to get out of his presence. Let me end by saying, we need God’s Word in our hearts more than ever. Don’t just complain and stay frustrated with your spiritual walk. You have to make a decision by cooperating with the Holy Spirit to see this come to reality. Have you ever been bored with spiritual activities? How have you been able to handle it? Read: A practical Guide to planning a personal retreat. CAN A BELIEVER FIND A LIFE PARTNER ON SOCIAL MEDIA? Thanks for this. It is something needed at a time like this. Thank you so much Grace. These tips and points are really good.. I have come to realize that we need discipline even in the place of devotion. We also need to learn that we can treat our spiritul lives the way we treat our online interactions. I also try to listen to teachings a lot. You know I like Michael Todd so much. Sometimes I just go to his channel to refuel and recharge. There was a time one of my colleagues asked me why I am so faithful at going to midweek services despite how tired I usually am after work. You see, after church on Sunday is real life. And real life is tough and distracting. If I have other chances to be in the presence of God with other believers at a physical location before the following Sunday, I will gladly jump at it. If I am not going to be serious with God because I am tired from work or exhausted, I want to add extra hours of seriousness by being in church. So many of the things I have heard in church helped me pull through some certain situations. E.g a loved one was sick, I just remembered my Pastor asking us to speak to situations in the name of Jesus. No time to be begging sickness to go. Sorry for writing blog post within comment. I just wanted to say that going to church, listening to messages and being with other believers help me stay on track. Thank you for writing this, at least I have the opportunity to pour. Exactly Esther….we need discipline. We can’t just keep complaining about lethargy without doing anything about it. I can so relate to all the points you mentioned. Fellowshipping with believers, listening to sermons, attending an assembly where you grow spiritually. Through these means, lukewarmness stay very far away from us. Well well… Blessed are my eyes reading this… And my heart that had received it. God bless you my sister, my friend. Keep being a blessing! 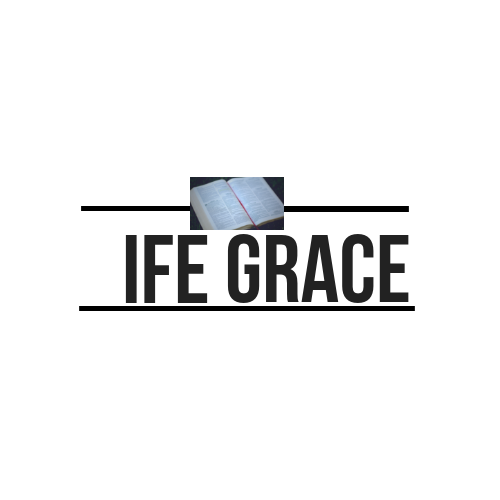 Thanks Ife Grace, your articles have been enriching and enlightening. I do enjoy them. In addition to the above, personal retreat at such time helps, if you are the type that love nature, it will be good to separate to a serene environment and have a heart to heart talk with God after meditating on His word. Very true… Personal retreats are important too. I remember sharing an article on a guide to planning a retreat. God bless you for this post… It came at the right time. More unction in Jesus name. Amen. Thanks for stopping by. Thanks Sis.. I can relate, even now! God bless you greatly .. 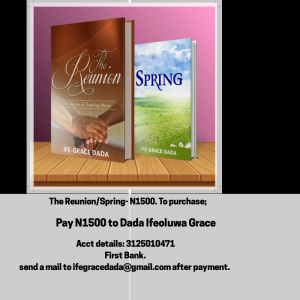 Thank you Ifegrace, these points you laid out has really helped my walk with Christ especially when I was spiritually bored….., There was a time I couldn’t change my church because there is a church using my compound temporarily and my parents attend, despite not feeling the full presence of God in words and prayers, I had to change my church after a long struggle of what will my parents or people say, thank God for spiritually minded people around me I had to relate and talk to, they made me understand that my salvation first, God is after me having a genuine fellowship with him and not the church I go or what people will say. Today my fellowship with God has really improved and my enjoying his peace, presence and grace. Thanks Ife Grace, what is your view about some who uses recorded prayer in tongues to get connected whenever they want to pray. Is it the best to do when we feel bored spiritually? Just recently, I attended a meeting and for over an hour we prayed in the spirit and it awakened that in me as I listened and connected to others praying aloud in tongues. So I won’t say it is wrong to use that to revive that part of your prayer life. However, I do not think you should depend on recorded prayers. It’s fine to use them once in a while but we shouldn’t always wait till we have such recordings before stirring ourselves in prayers.